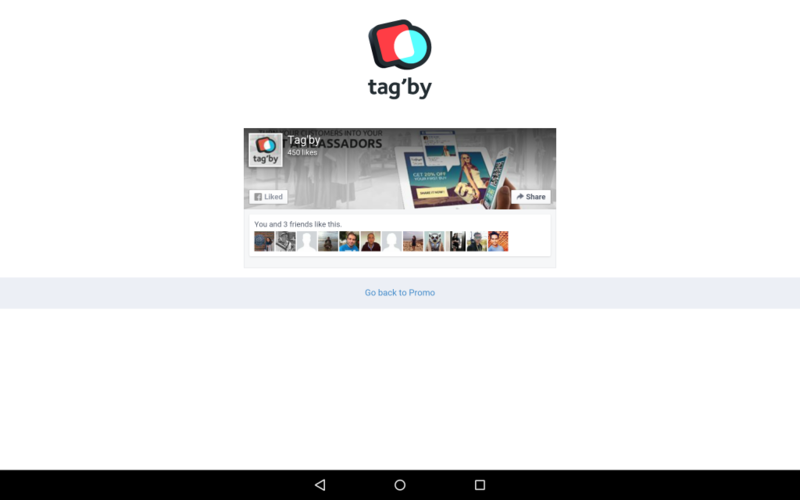 Discover the new tag’by feature to stay in touch with your customers ! Now, you can invite your clients to like your facebook page directly from your store in 1 click. Since you have installed Tag’by in your shop, your clients enjoy our photobooth, promo, and slotmachine apps ? Keep the link, and improve your customer knowledge thanks to social media. Invite them to like your facebook page. – Immediacy : your clients will forget your brand once they will leave your store. – Proximity : Show to your customers you care about them and want to stay in touch. Go to “Setup” in your tag’by manager and add your fanpage URL. The invitation will appear before your client share your campaign on facebook.